inploi is London’s leading hospitality network, helping you to build and develop your career in one of the UK’s largest employment sectors. Available on app and web, inploi gives you the tools to discover the latest jobs, and connect with top companies and people in the industry. Sign-up today at www.inploi.com to create your profile and get started! Your inploi profile is your online career identity. The best way to catch employers’ attention is to fill out your profile with relevant, up-to-date information. Your profile should include education, work experience, training and qualifications, as well as short bio about yourself and your career interests. Include a few images and a profile video to really stand out. With inploi’s super fast CV-uploading technology, filling out your profile takes a matter of seconds! So you have a great profile, what next? London’s leading hospitality employers are looking for the best talent to fill their roles. inploi is a community of leading employers and companies, advertising fantastic job opportunities at all levels. Search the network, follow your favourite companies and stay up to date with the latest industry news. 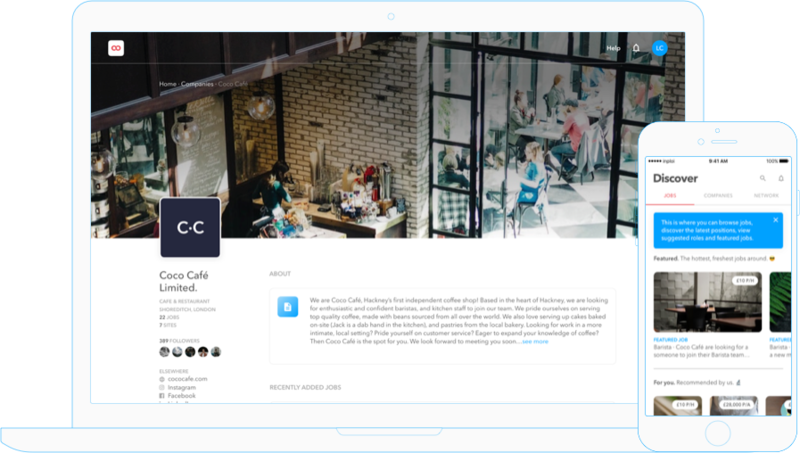 Using your profile, you can apply to jobs in just one click, and connect with your friends and peers. Applying for jobs has never been simpler. Got your profile up to speed? All you have to do is click ‘Apply’ on the jobs you are interested in. 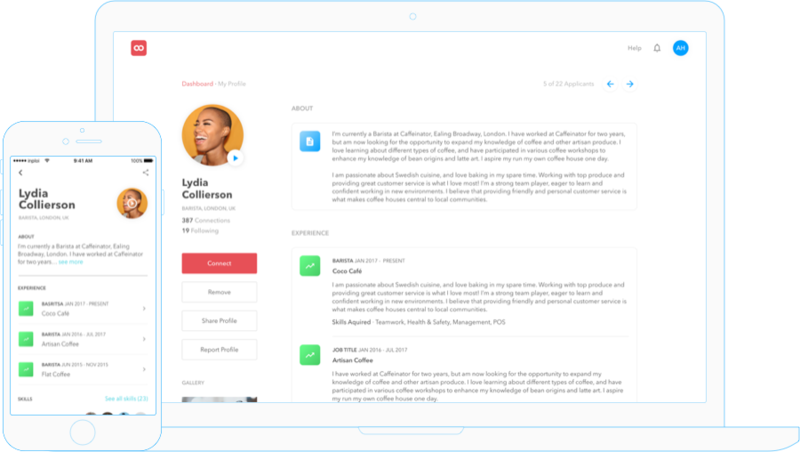 Once you have submitted your profile, employers can chat to you directly, streamlining the process of arranging interviews and trial shift all through one platform.